Take Exit 4A, marked "Christiana Mall," onto Delaware Route 1, south toward Dover. Baltimore/Washington International and Philadelphia International airports are within a 3-hour drive by rental car. Salisbury/Ocean City Regional Airport is served by US Airways/the new American. 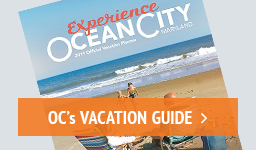 It is 30 minutes from Ocean City via US Route 50 and Rt. 90.